Enjoy gorgeous mountain views from the balcony. Relax in comfort & style in the open concept penthouse. Silver Wolf Penthouse is on the right in the light green building - right in the center of the action! Getting around You're in the heart of down town. You're a couple blocks away from championship golf, restaurants, theaters, shopping, train depot, art galleries, breweries, play grounds and all that Whitefish has to offer. Silver Wolf Penthouse (EST 2017) is located in downtown Whitefish with breathtaking views of Whitefish Mountain Resort and downtown. This premier penthouse was built in 2017 and has everything you need to relax and enjoy downtown Whitefish in comfort and style. Upon arrival you'll find your reserved parking space behind the building and the outdoor covered staircase to the unit to be easy to navigate as the staircase is nice and wide and the steps are short. Inside Silver Wolf Penthouse is luxuriously outfitted from top to bottom with gorgeous hand- sawn wood floors, granite in the kitchen and bathrooms, heat and AC, new furnishings, and decorator touches throughout. Enjoy time together in the open concept condo with plenty of room for all to visit, eat, relax. The third floor penthouse location is perfect for westward views across town. Venture out on the large balcony and enjoy the modern gas fire centerpiece while you take in a full view of the surrounding mountains. The front bedroom hosts a California King bed, views of the mountains, and an attached bathroom. The second bedroom has a queen bed, closet, flat screen TV and attached bathroom. Have a couple of extra travelers in the group? You'll find two twin rollout beds in the unit that will allow your group to sleep six comfortably. Both bathrooms are spacious with double sinks, granite counters and a tub/shower. A full-sized stackable washer/dryer is tucked right inside the unit for your convenience. To dine in or out...now that's the question! Dining in - head out to the Farmerâs Market or Marcus Foods to snag goodies to cook in the modern, fully-equipped kitchen with high-end appliances. The dining room table seats six and there is additional seating at the kitchen island. Dining out - the walking distance list of hot dining spots is too long for this space! Rest assured you'll find a terrific variety of wonderful restaurants, bars, breweries, and coffee shops within minutes of Silver Wolf Penthouse! Need some cultural exchange? Also within walking distance of the unit is Depot Park (home of seasonal events like the Farmer's Market and October Fest), numerous art galleries, two fantastic theatre companies and the Glacier Symphony. Outdoor activity a must? The Whitefish River, tennis courts, parks, golf, cross country skiing, City Beach, and Whitefish Mountain Resort are all only minutes from the unit - walk, bike or drive - it's all convenient! More ease and convenience - Silver Wolf guests are invited to store skis and boots (4) in the SkyRun locker on the mountain. Don't feel like driving up the mountain to go ski or enjoy summer activities? No Problem... Getting around Whitefish is free and easy via the SNOW BUS! The SNOW BUS is a free shuttle service that takes you all around town including Whitefish Mountain Resort - the closest stop is 1.5 blocks from this unit! We think you will thoroughly enjoy your time spent in this exquisite penthouse.  Come enjoy all the fun Downtown Whitefish has to offer! Book your Whitefish getaway with SkyRun Vacation Rentals Today. You must be 25 years or older to rent this property. Maximum occupancy at all times is 6 guests and 1 small vehicle (more public parking available on 3rd street), unless otherwise approved. Please come and have a good time, but be aware that behavior that is disrespectful or disruptive will result in forfeiting the remainder of your stay. No smoking or pets are allowed on the property. No elevator available. Getting around: You're in the heart of down town. You're a couple blocks away from championship golf, restaurants, theaters, shopping, train depot, art galleries, breweries, play grounds and all that Whitefish has to offer.